Ahead of the concert in Kyiv, Ukrainian folk metallers Motanka presented their debut video for the song "Verba". The composition will appear on the band’s upcoming eponymous album, Motanka’s first release which will come out via the Austrian label Napalm Records (Jinjer, Stoned Jesus, 1914). "Motanka", which will include 14 tracks, will be released on June 7, 2019. According to the band, the album features folk instruments dulcimer and ocarina, as well as throat singing. At the moment, the release is available for pre-order via Napalm Records. 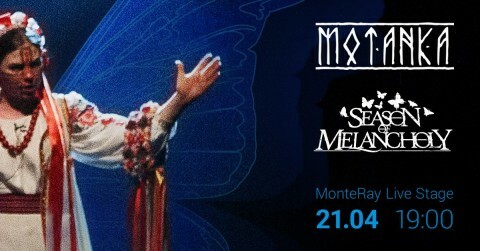 Motanka will give a show with Season Of Melancholy on April 21 at the MonteRay Live Stage club in Kyiv. More details about the upcoming event can be found on Facebook.